Nature provided Cape Verde with excellent conditions for the practice of some sea sports, locating this archipel in ideal water temperatures, brimming with fish, and winds blowing enough for sailing. 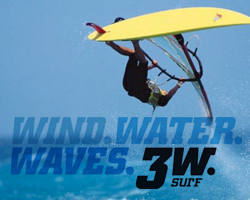 One of the most famous windsurfers in the world the French Francois Guy established in Boavista his Windsurf School in Estoril beach. Sport fishing aims also in Cape Verde the bests performances concerning diving, Boavista represent to this activity the role of its paradise offering challenges as observation of whales, whale-sharks, corals, etc.. Protected by the law the sunken ships are, however a great adventure oportunity for divers, as they are among the best preservated in the world according to Jacques Costeou’s opinion. As a whole, go to Cape Verde to see what is behind the magnificent sun and the excellent beaches certainly will fullfill your expectations.